I am a middle age Malaysian born in the city of Kuching in the island of Borneo. Being involved in Taekwondo, chinese martial arts, all the racquet games and yoga, I had my fair share of injuries in my younger days. 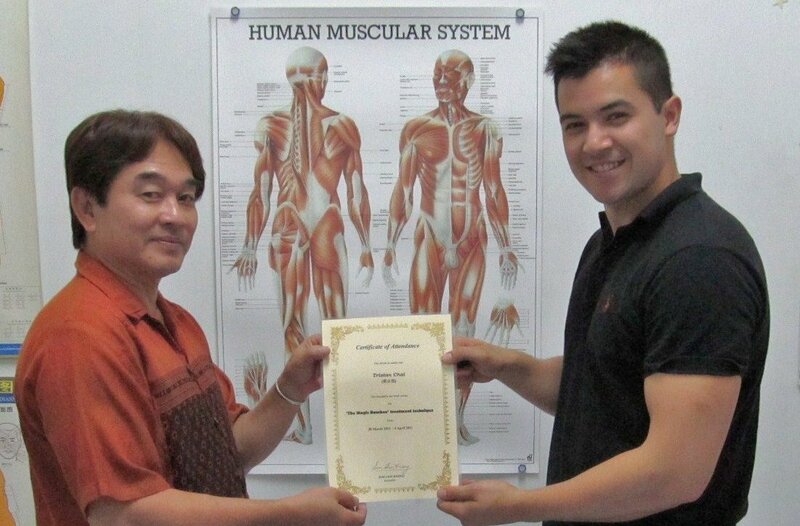 Trying to solve my injuries and preventing them led me to all kinds of massage techniques and healers available in my city back then.I was most impressed by a Thai masseur residing in my city and the interest in this field led me to take up courses in Shiatsu, Thai Massage, Reiki and Aromatherapy. Chinese deep tissue, Sweddish and sports massage was of course rampantly available as indirect education everywhere anytime. I did combination massage for at least 15 years ( I still do occasionally) before i realised that no matter how good I was, massage could only help chronic mascular problems to a certain level only, like it ‘feels good for a couple of days’. So this led me to start using this special “Tieh Ta” (铁打) technique without any tools as traditionally was, just the fingers in a whip-like action. I used bare hands for at least 6years and God knows how tiring that was! 5 years before going to Adelaide to treat clients there, I started working on several tools and eventually I settled on 4 very effective tools for this laborious technique. If not for the help of these tools I could have given up this strenuous technique of healing because through the years of using bare hands has taken its toll on my poor arms and shoulders. It was sheer desire to uplift this technique that I pulled through. 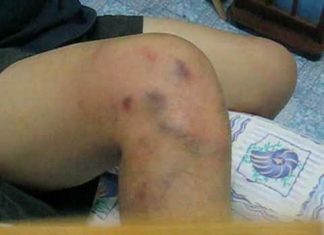 And yet the biggest hurdle is how to make people accept this technique with the stingy pain from the tapping, the healing crisis(where fever can sometimes develop) and the aftermath bruising especially on the 3rd day after treatment. Clients with low threshold for pain will not want to relive the second ‘torture’, those that have fever got paranoid and the ones that showed their friends the bruises was discouraged by their uninformed friends that “Your blood vessels have been broken by the smashing”!! It’s an uphill tasking fighting all these negativities despite the fact that all by clients are referred and I presumed have been psychologically prepared. Patience and perseverance took me more than 15 years to finally share this ‘unorthodox but it works’ technique with the world. Not forgetting my gratitude to all the masters,healers and therapists I came across throughout my travels( check out Tripadvisor Cities I’v visited). You guys have all helped one way or another to bring this Magic Bamboo to the level it is today.